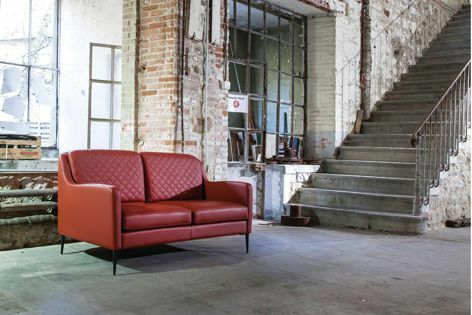 The Stixx sofa by Duvivier is hand finished and hand stitched, and is available from Domo. The Stixx sofa and armchair celebrate traditional French craftsmanship and demonstrate Duvivier’s approach to hand finishing and hand stitching. Distinguished and refined, both pieces have a quilted back cushion, piped edges, modern metal feet and a subtle curved structure.